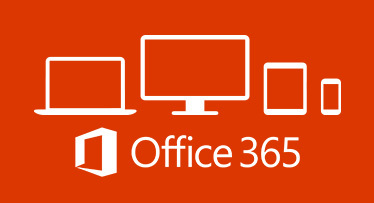 Office 365 is cloud-based productivity, hosted by Microsoft. A monthly subscription purchases enterprise-grade email (with 100GB of storage per user), instant messaging (via Skype for Business), the latest version of Microsoft Office, 1TB of OneDrive storage and much more. Purchasing these services directly from Microsoft avoids the headaches associated with maintaining on-site email and messaging servers, while offering access form anywhere with 99.9% uptime. Online meetings: Hold scheduled or ad hoc online meetings for up to 250 participants, with screen sharing, audio & video, virtual whiteboards, polls and shared notes. Partners and customers can fully participate through any HTML-5 browser Online document storage and file sharing: 25GB of space in the cloud to store, backup and easily share files. Files are accessible from almost any device, also synchronized offline and available without an internet connection. Private social networking and collaboration: A social network that helps your company stay connected, share information across teams and make faster, more informed decisions. Simplified IT Management: Reduce headaches by reducing your IT infrastructure. Content lives safely in globally distributed datacenters with continuous backup & disaster recovery abilities. Financially backed SLA: Get peace of mind knowing your services are available with a financially-backed 99.9% uptime service level agreement. Never buy a new version of Office again! Get work done from anywhere: Wherever your people are, online or offline, they can get to—and work with—the most up-to-date versions of the files and tools they need to get things done. And they can do it on virtually any device. Work better together – simply: Office 365 offers business-class email, shared calendars, IM, web conferencing, and access to the most up-to-date documents stored in the cloud. You can work together in real time without compromising security. Reduce your capital expenditure: Office 365 is available as a simple monthly subscription. Avoid large up-front costs for new software while moving the cost of IT from capital to operating expense. Be always up to date: Since Office 365 is in the cloud, it is always up to date. No patches or software upgrades necessary. Microsoft is adding new value and capabilities on a monthly basis. Cut hardware and energy costs: Without servers to run for email, websites and document storage, you can reduce energy costs and save by no longer purchasing new server hardware. License per user: Simplify licensing while providing each user access to business critical technology on 5 PCs/Macs and 5 mobile devices. Save money when compared to traditional, per device licensing. Scale your business quickly: Office 365 grows with you – adding a new user is as simple as buying an additional license. License what you need: Office 365 provides many plans to fit the right capability needs and price points for each user in an organization.